Have you ever tasted a banana that's gone past its best? It can taste a bit sickly, right?! Or maybe you've eaten a really bitter strawberry or raspberry. Fruit is amazing and life-giving. But it's even better when it's good, tasty fruit! Download this A4 sheet and cut up the flyers and give out to everyone to take away. Or do a similar flyer and get printed up - a company like hippoprint do 50 x A6 flyers for around £17 (October 2018). I also ordered some 'woven fruit basket miniatures' - available on Amazon and Ebay from a couple of sellers. These are the baskets (pictured, left). They're very small (about 4cm across) but you can put a grape in there plus perhaps a fruit gum! They are around £5 for 3 baskets at the time of writing (October 2018). Alternatively, favour pails / favour buckets are available online and will hold more contents - hobbycraft.co.uk do a version (currently around £4 for 5 pails which are around 5.5cm x 5.5cm). Inside this, I put some crepe paper, a green grape, a purple grape, a blueberry and a strawberry and gave out one to each person. I also found some 'craft leaves' (from The Works - 50 for £1) and added a leaf to each favour pail. 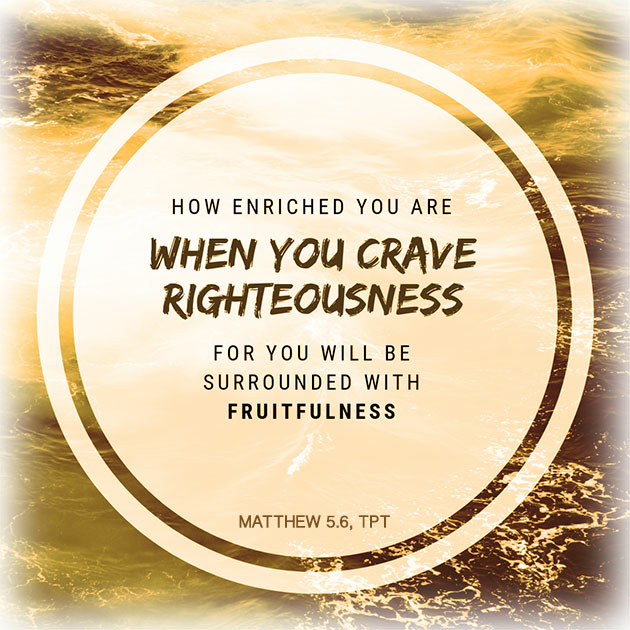 “How enriched you are when you crave righteousness! For you will be surrounded with fruitfulness." What’s so funny about forbidden fruits? They create many jams. Righteousness means God’s right way of living - seeing, thinking and doing. Some Bible versions translate ‘righteousness’ here as 'doing right', 'being hungry for God' or 'being right with God and doing right'. God loves it when we pursue right ways of living. But more than that, as we pursue God, we become more effective. It’s like a footballer who trains hard and long and watches and learns from a good coach. They get better and their football improves. It benefits them, the team and the fans. The word righteousness also means pursuing goodness and justice. Pursuing means to actively go after. One of my mates actively pursued his wife. They met but that wasn’t the end of things. He actively pursued her and to his great credit, he still pursues her. As a result their marriage is flourishing. When we actively put God first, seek him, the fruit of God naturally flows out of us. The other day, the hose wasn’t working well and the pressure seemed really low. But on investigating, the problem wasn’t the water coming out but the fact that the hose wasn’t attached properly. When we connect our ‘hose’ to God’s tap, then God’s living water flows out and waters the ground around us. Amazing picture huh?! When I look at fruit, I also see incredible colour, variety, richness, creativity, shapes, sizes, forms, tastes and benefits. This is the life of us as part of God’s church. This is the kind of thing that we are when we’re attached to Jesus. 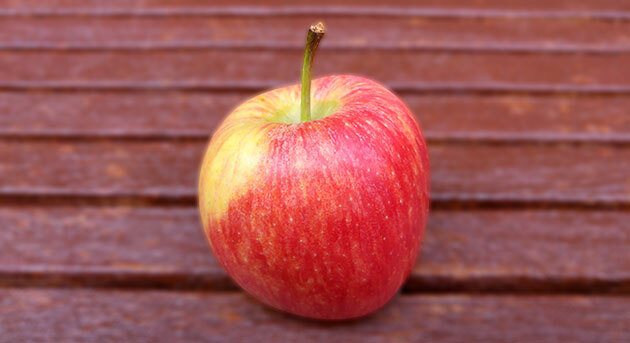 There are all kinds of fruit, so don’t compare yourself to an orange if you’re an apple! One of the best things we can do as a Christian is to understand what kind of fruit we are. Fruit producing is a natural result of staying connected. If a branch is on a tree and is well watered and sun-filled, it will produce fruit after its kind. Producing and Not Producing Fruit? 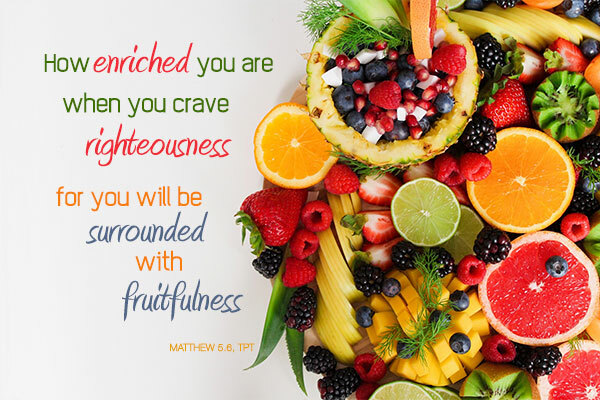 Jesus said we can learn a lot about people by observing the kind of fruit that comes out of them, often when we’re doing well or being squeezed! Fruit, naturally occurring always produces seed. Yes, some fruits have been genetically modified not to have seeds (some grapes for example). But in their natural state, they produce fruit. So are you producing fruit? Not only fruit by good fruit? When a tree doesn’t produce fruit, there’s something wrong in the tree, it’s not being watered or getting enough of the sun or it’s in the wrong environment or it’s in bad soil. Think about that. It’s good to have fruit and be fruitful but like God told Adam and Eve, it’s good to spiritually multiply. So let your light shine, let out all that goodness God has put in you. Don’t get so overloaded with fruit that you bend under the weight and the fruit falls off and rots! The Dead Sea is dying because the water goes nowhere. Release the fruit! Read the Psalm out loud. Then read the second one out loud together and personalise it. nor be found sitting in the scorner’s seat. bearing fruit in every season of their lives. But how different it is for the righteous! meditating day and night in his true revelation of light. How different it is for me, one of God's righteous people!